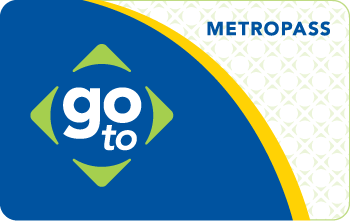 Metro Transit offers several transit passes available through employers, schools and organizations. 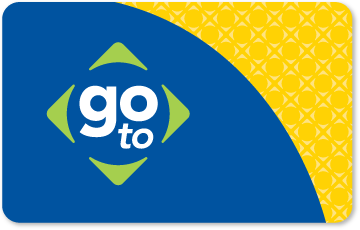 All of them offer the same convenience of the Go-To Card -- faster boarding, seamless transfers and balance protection – but in addition, these passes are valid for unlimited rides on bus and METRO lines. Rides on Northstar may require additional stored value. These passes are often the best value if you ride transit frequently. If you don't have access to these passes through your employer, school or organization learn about other money-saving passes available on a Go-To Card. > Want to become a TAP partner? Find out more here! Companies and organizations enroll in Metropass, then you get unlimited access to all regional buses and trains for $83 per month; even less if your organization offers pre-tax benefits or subsidizes your pass. Add stored value to to pay fares above $3.25 (at some Northstar stations. When your high school signs up for Student Pass, you're eligible for access to all regional buses and trains. Ask your school today if you are eligible for the easiest and least expensive way to get to school and extracurricular activities. Your student ID is required along with the pass; the card is valid only when used by the named cardholder. All students agree to the Metro Transit Code of Conduct. Failure to adhere to the policies of your school or Metro Transit may result in pass deactivation. Whether it’s to class, work or fun, make a smart choice and get around town with a College Pass for $165 or less per semester. When your school offers the College Pass, you're eligible for unlimited rides on buses and trains for an entire semester. College Passes are sold at each school and expire at the end of each semester. Add stored value to your College Pass to pay fares above $3.25 (at some Northstar stations). The U-Pass is available to currently enrolled students at the University of Minnesota. It is valid for unlimited rides on buses and trains – including the METRO Green Line that travels through the heart of campus – for an entire semester. It can be purchased here. > Add Value online, at 612-373-3333, at Metro Transit Service Centers, at rail station ticket machines or at any Go-To Card retailer. Any stored value remaining after the pass has expired can be transferred to a new Go-To Card. Are you an administrator who wants to learn more about all transit passes and fares offered?